Add a touch of luxe to your look with this dress. 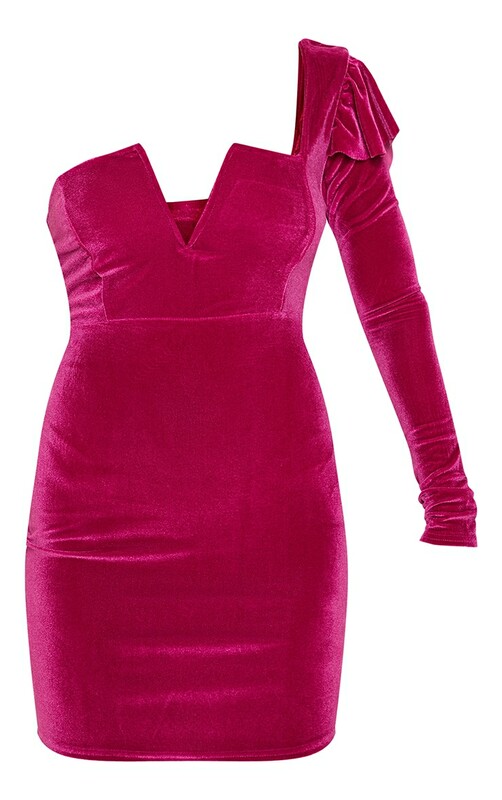 Featuring a hot pink velvet fabric with a one shoulder sleeve and a plunging neckline. Style this with silver accessories and barely there heels for maximum impact look.